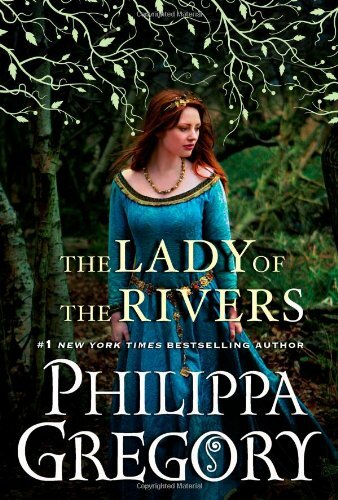 The Lady of the Rivers is #1 New York Times bestselling author Philippa Gregory’s remarkable story of Jacquetta, Duchess of Bedford, a woman who navigated a treacherous path through the battle lines in the Wars of the Roses. Descended from Melusina, the river goddess, Jacquetta always has had the gift of second sight. As a child visiting her uncle, she met his prisoner, Joan of Arc, and saw her own power reflected in the young woman accused of witchcraft. They share the mystery of the tarot card of the wheel of fortune before Joan is taken to a horrific death at the hands of the English rulers of France. Jacquetta understands the danger for a woman who dares to dream. Jacquetta is married to the Duke of Bedford, English regent of France, and he introduces her to a mysterious world of learning and alchemy. Her only friend in the great household is the duke’s squire Richard Woodville, who is at her side when the duke’s death leaves her a wealthy young widow. The two become lovers and marry in secret, returning to England to serve at the court of the young King Henry VI, where Jacquetta becomes a close and loyal friend to his new queen. The Woodvilles soon achieve a place at the very heart of the Lancaster court, though Jacquetta can sense the growing threat from the people of England and the danger of royal rivals. Not even their courage and loyalty can keep the House of Lancaster on the throne. Henry the king slides into a mysterious sleep; Margaret the queen turns to untrustworthy favorites for help; and Richard, Duke of York, threatens to overturn the whole kingdom for his rival dynasty. Jacquetta fights for her king, her queen, and for her daughter Elizabeth for whom Jacquetta can sense an extraordinary and unexpected future: a change of fortune, the throne of England, and the white rose of York. A sweeping, powerful story rich in passion and legend and drawing on years of research, The Lady of the Rivers tells the story of the real-life mother of the white queen. 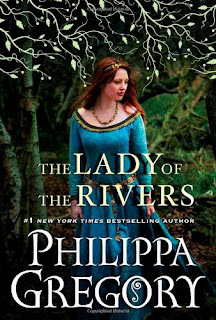 The Lady of the Rivers is the third in Philppa Gregory's "Cousins War" series and I have to admit that I didn't love this one, heck I just did't like it. I was excited to get the e-galley because I am a huge fan of Ms. Gregory's previous books in this series. I don't know what happened to the third, but I was so disappointed! If I hadn't been reading this on my Kindle, I'd have thrown it across the room. I found the constant need to repeat the names and titles of the characters is really irritating and makes sentences hard to read and the story hard to follow. It's like she's dumbed the series down. And I'm not a fan of things written in the first person, present tense. Well, let me rephrase that, I'm not a fan of THIS book being written in that manner. For whatever reason, for me, this one didn't click. The plot seems to be to be a bit of the "same old-same old" ...and I was bothered by the way Jacquetta derived her power. Not trying to be mysterious, but I don't want to give plot details away for those who will read it. I think you get the point, I won't go on. However, I do think the cover art is gorgeous!! Sadly, I give The Lady of the Rivers 2 out of 5 stars. This was provided to me as an e-galley by the publisher through NetGalley, and it in no way affected my review.